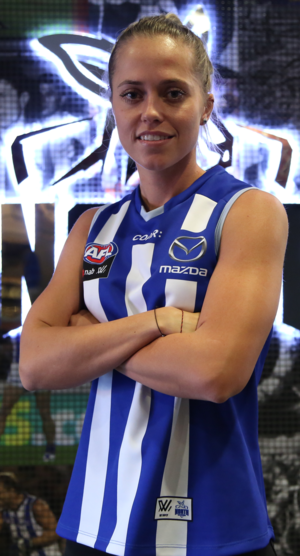 Former Lion Kaitlyn Ashmore will now play for one of the new AFLW teams in the 2019 season, the North Melbourne Tasmanian Kangaroos. "North has had an alliance with Melbourne Uni for years, where I have played for 6 years and over 130 games. I was also moving back and forth from QLD every 6 months over the 2 seasons I had there and it’s actually quite exhausting." For the Kangaroos, Ashmore will continue to wear the jumper number 10 in 2019 same as the number she wore at the Lions. Ashmore joins fellow Melbourne University teammates and high AFLW recruits Tahlia Randall (former Brisbane Lions player) and Emma Kearney (former Western Bulldogs player) at the Kangaroos. The former Lions player was selected in the very first North Melbourne Tasmanian Kangaroos leadership group with Emma Kearney leading the way as captain. Ashmore will be vice captain alongside fellow vice captains Jess Duffin, Britt Gibson and Emma King (leadership group pictured left). “An absolute honour," Ashmore said. “Not only is it exciting to be a part of the North Melbourne Tasmanian Kangaroos first season, but to be named in the leadership group is something special. Gives me confidence going forward." Ashmore believes that each of the girls in the leadership group can bring something different and she shared what leadership qualities she believes she can bring to the leadership group. 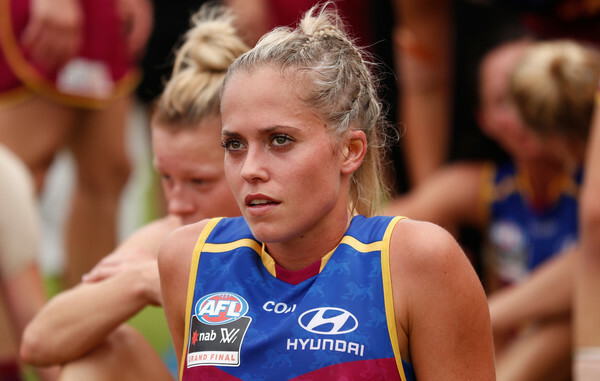 “I like to think I’m pretty approachable and hopefully the girls can communicate to me in a way that’s different to the other girls in the leadership group," Ashmore said. "I’m probably more of a ‘social’ leader and am really looking to helping the girls gel and love the environment they’re in." According to Ashmore, Ash Riddell will be the AFLW player to watch in 2019. “Ash Riddell will definitely have an immediate impact on the game and our team. I’ve been able to watch her closely in the VFLW with Melbourne Uni and between then and now she has grown and learnt so much," Ashmore said. 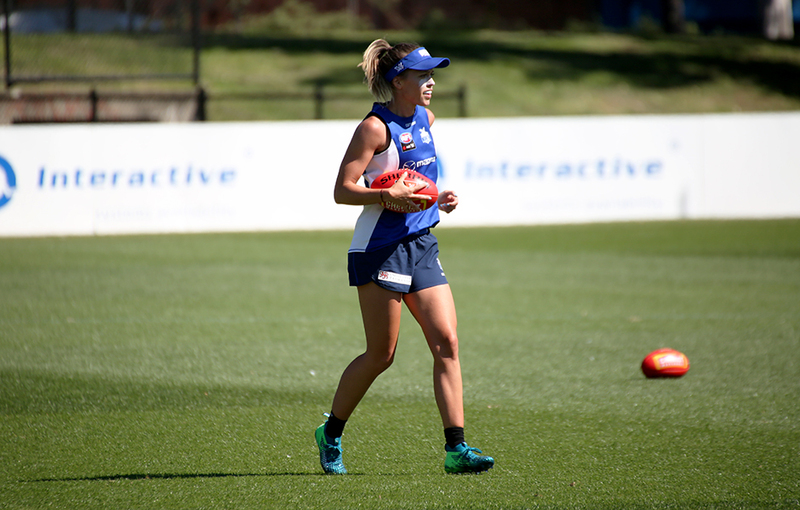 Since being at the North Melbourne Kangaroos Ashmore has learnt the most from 2018 league best and fairest Emma Kearney. “Just a wealth of knowledge and loves what she does," Ashmore said. "Emma King has also been great throughout the midfield and I did a bit of work preseason with Britt Gibson doing some forward 50 work which has really helped my game." Ashmore models her game around Western Bulldogs men’s player Jason Johannisen (JJ). “He’s an explosive runner off Half Back and takes the game on with his run and skill,” Ashmore said. When Ashmore is not playing women’s footy she is a primary school teacher and being a primary school teacher has helped Ashmore with her footy. “I was very quiet when I first started footy. Teaching has helped me communicate to my teammates a little better and probably gave me the confidence to come out of my shell," Ashmore said. "You don’t think about it, but the qualities you learn from footy you do take into the classroom and use with the kids." You would not be able to tell from how skilled Ashmore is as a footy player that she only started playing Aussie Rules from year 7. Ashmore grew up in a baseball family and when she was young she took part in Athletics, Karate and Netball. Her love of footy grew when she turned 18 years old, she found a team the North Ballarat Eagles. Right from her early days of footy Ashmore’s biggest supporter was her Pa.
“I absolutely loved my Pa and he would come and watch me play, and he would never come and watch me when I had Athletic comps,” Ashmore said. The star midfielders footy career really took off when she was invited to a Footy Academy in Melbourne and she realised that footy was bigger in Melbourne than in Ballarat. 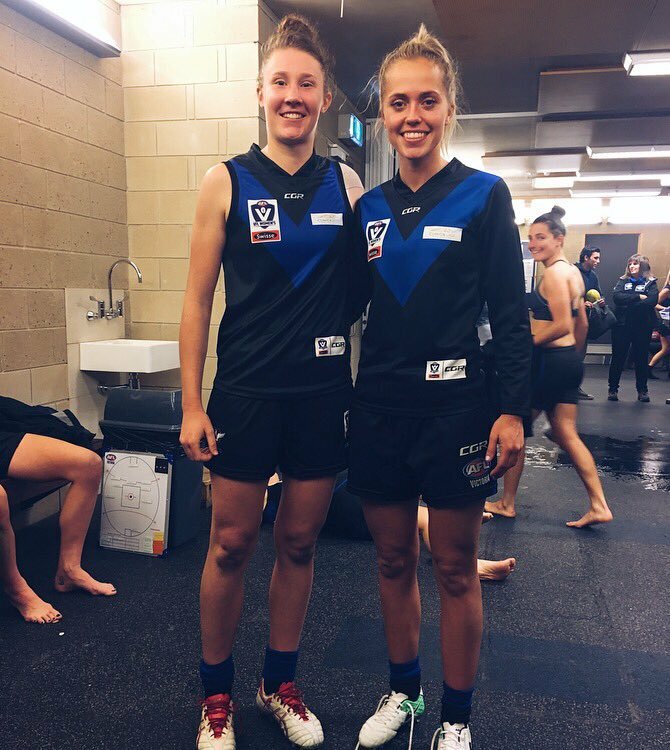 At the Academy, Ashmore trained with other AFLW stars Daisy Pearce (Melbourne AFLW Captain) and Steph Chiocci (Collingwood AFLW Captain). “My Pa randomly had a stroke and unfortunately passed away, so my footy journey really began to take the front seat and I think Pa was the one behind that, I’ve always wanted to make him proud and I think he would be stoked to see how far I’ve come,” Ashmore said. Ashmore’s footy career has gone from strength to strength and has become known as one of the top outside midfielders/wings in the AFLW competition. She was fortunate to play in two consecutive AFLW Grand Finals, but unfortunately did not come away with a premiership ring. “You play to take home the premiership. It’s hard work both on and off the field, so to get to that stage and lose both by 6 points was devastating," Ashmore said. "After the siren, it’s honestly the worst feeling. I felt like I let my friends, family and the fans down. I’d like to say that you move on, but you never completely move on. I still think about it, and I definitely don’t want to feel that pain again." Ashmore believes the North Melbourne Tasmanian Kangaroos are capable to take home the premiership next season. “I know we’re capable of doing that. We have a great group of girls who are all talented and all good people, and if we can work together and gel on the field then that’s a possibility for us,” Ashmore said. 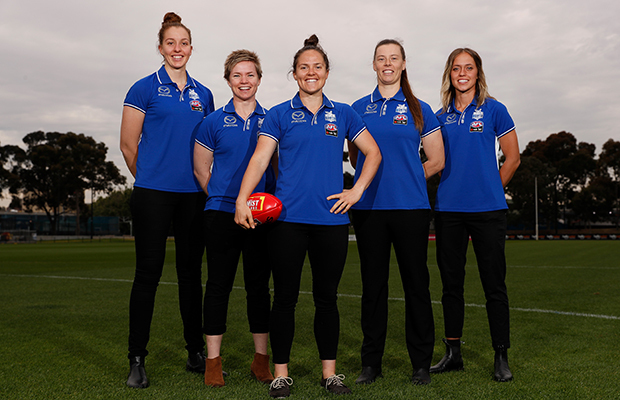 Heading into her third AFLW season with the North Melbourne Tasmanian Kangaroos, Ashmore believes they are well prepared for their inaugural season in the competition. “Obviously so much has happened since the very first year of AFLW, but North have done an amazing job. Not only have they had the long standing connection with Melbourne Uni and being around the women’s footy environment but they’ve had a few girls like myself come from other clubs," Ashmore said. "We’ve been able to give some feedback on what worked well and what might not have. I’m very happy at the Kangas."